Sound (8.6/10) – The Momentum In-Ear offers a rather unusual sound signature for Sennheiser, closest perhaps to the flagship IE800 model. It is v-shaped, with enhanced bass and energetic treble, and not as sensitive and ear-splittingly loud as one may expect from a consumer-oriented earphone. The overall tone of the Momentum In-Ear is slightly warm, thanks to a generous amount of bass enhancement. Bass depth is excellent and the overall impact, while short of “basshead”, is plentiful, falling just between the bassier RHA MA750 and the more balanced VSonic GR07 Bass Edition. The bass enhancement is well balanced between sub-bass and mid-bass, and offers a minimal amount of bloat for the quantity. The midrange of the Momentum is mildly recessed, in keeping with a v-shaped sound signature. However, due in large part to the plentiful bass, it does not sound overly thin. Clarity is limited slightly by the recession and bass boost, but on the whole it is more than respectable. Likewise, detailing is good for an enhanced-bass model but falls short of some flatter-sounding earphones. For instance, the popular Havi B3 Pro 1 has mids that are clearer and significantly more forward. However, it also sounds somewhat anemic and gutless at the low end compared to the Momentum, thanks to the far greater bass depth and power of the latter. Starting with the upper midrange, the Momentum In-Ear again picks up steam, maintaining a rather high level of energy through the highs. It is still tilted towards the low end on the whole, but the treble presence provides a sound very different from most mainstream enhanced-bass earphones (such as the Beats by Dre Tour 2.0, for instance). The top end of the Momentum has a slightly splashy character that is not especially forgiving of either harshness or sibilance, but is still significantly less sibilance-prone than the similarly-priced VSonic GR07. Like many earphones with v-shaped sound signatures, the Momentum In-Ear boasts a rather wide soundstage – on-par in size with the formidable VSonic GR07. Depth is, as with the GR07, lacking a bit in comparison to the width, but the combination of clarity and strong presence the highs and lows results in good dynamics and a very competent overall presentation. The RE-400 is far flatter than the v-shaped, moderately bassy Momentum In-Ear. Its sound is more mid-focused, with less bass and treble presence compared to the Sennheiser set. The Momentum delivers more powerful and significantly deeper bass at the expense of a bit of bloat, while the tighter, flatter bass and lack of midrange recession in the RE-400 help it sound clearer and a touch more detailed overall. However, that same forward midrange makes the presentation of the RE-400 appear lacking in depth and dynamics compared to the Momentum. The top end of the Momentum is more prominent and less smooth than that of the RE-400. There is more treble sparkle, but the Momentum is also prone to a bit of splashiness. On the whole it’s tough to determine the better earphone between these two – the RE-400 offers smoother, more natural treble and better midrange presence, while the Momentum delivers deeper, more impactful bass and a larger soundstage. Compared to the Sennheiser Momentum In-Ear, the dual-driver A71 is less feature-rich and more finicky when it comes to fit, but offers a similar level of audio performance. Its bass is a little boomier – the tighter, more controlled lows of the Momentum leave a better impression and help the Sennheiser set sound a bit clearer despite its recessed midrange. The mids of the A71 are not quite as clear, but a lot more forward, which balances out the intelligibility of vocals against the Momentum and makes the A71 sound richer and more full-bodied. The midrange of the more v-shaped Momentum tends to be a little thin and dry in comparison, but can sound more detailed and resolving than as well. The top end of the Fidue unit is smoother and its tone – warmer and arguably more natural. The A71 is also much more sensitive. The GR07 Classic follows a more balanced and neutral sound signature than the warmer, more v-shaped Momentum In-Ear. The bass of the Sennheiser set is significantly deeper and more impactful, but also a little boomier and less refined than the tighter, flatter lows of the GR07. The midrange of the Momentum is slightly more recessed while the GR07 is clearer and more detailed thanks to its flatter, more accurate response. The top end of the Momentum is less sibilant and not as bright, but otherwise the two earphones are in the same boat when it comes to highs – both tend to be energetic and at times a bit splashy. Both have wide soundstages with only average depth. RHA’s MA750i model offers functionality similar to the iOS Momentum In-Ear, but in a very different form factor and with a warmer sound. The MA750 is bassier, boasting a bit more mid-bass emphasis but maintaining bass quality similar to the Momentum. Its sound signature can also be called v-shaped, but its mids are not quite as recessed as those of the Momentum. The Momentum is a little brighter and at times can sound clearer, but also tends to be a little less full-bodied. The MA750 sounds slightly smoother overall, but actually has a bit more lower treble presence than the Momentum. Still, the Momentum is more v-shaped and has a greater tendency to sound splashy up top. The soundstage of the MA750 is also slightly larger. This comparison is made very simple by the fact that the Momentum In-Ear is miles ahead of the Beats Tour 2.0 in fidelity. The Tour is more sensitive/efficient and much bassier, but its bass is significantly more bloated and boomy. The midrange is quite a lot muddier as well, though more forward than that of the Momentum. Despite its v-shaped sound sig and more recessed midrange, the Momentum sounds more balanced, clear, and refined with its tighter bass and superior treble energy. The treble presence and energy of the Momentum do make it less forgiving, but still not harsh even next to the dull-sounding Beats. Value (9/10) – Sennheiser’s on- and over-ear Momentum models have been highly praised for successfully combining form and function, bringing Sennheiser audio performance to the style-focused headphone segment. The Momentum In-Ear follows in the same footsteps, boasting a unique design, comfortable, lightweight construction, and impressive audio performance. Combined with the choice of full-featured iOS or Android remotes – the latter still a relative rarity – this makes the Momentum an excellent value. hey ljokerl can you compare 1More Triple Driver vs Sennheir Momentum in-ear ? Where i live 1More costs 145$ and Sennheiser costs 85$ is it worth 60$? Hey Joker! Thank you for the detailed review. First question: How does the Sennheiser Momentum compare to the Shure SE215 (sound quality and durability)? I’d been initially for the Momentum because it’s cheaper and it’s much easier to find from where I’m from (plus it already has a mic), but I’ve read a lot of reviews in Amazon complaining about how easily the Momentum breaks. On the other hand, the Shure’s cable is detachable and it seems sturdy. Second question: Is there a risk-free way to make the Momentum in-ears more durable (a way that doesn’t affect the wires)? Hey Joker I’m thinking of upgrading from Soundmagic E10s – does this one sound/feels better? Worth the money? The Momentum has more bass and less midrange compared to the more balanced E10. It’s a good earphone if you’re looking for a v-shaped sound and like your bass more emphasized and your mids more recessed. Not sure what you mean by feel – build quality on Momentum is decent, fit in the ear is great. Don’t think I would enjoy more bass.. What would you recommend then for a similar (but better) sound quality compared to the e10? soundmagic e50? Can’t really find anything below £80-100. Was reading the 1more triple driver review-seems to be pretty good with less bass than momentum, and price is pretty okay. Seems great I guess? I don’t have an E50 or an E80. 1MORE is good value but coming from E10 mids might seem a little recessed at first. Not as severe as Momentum, but there’s a sound signature difference for sure. Value is there, though, so if it seems like the more v-shaped frequency balance is something you can tolerate, go for it. If you’re looking to avoid the more “scooped” mids and enhanced bass of sets like the Momentum and 1MORE, there’s a few good sub-$100 options that I would rate above the E10 for overall sound quality/performance – Phiaton MS100BA, Final Audio Heaven II, Ostry KC06, maybe even the Fiio EX1 if you don’t mind having more midrange. Ljokerl, If you get a chance, you should definitely try the CX 5.00. A more balanced signature than the M2 iem. I am looking for earbud within $70-$100. I am not a audiophile. I am a looking for a earphone which should be ear charming like soothing & bass should not be very high, vocal should be clear. Not necessarily neautral. I thinking for rha 600i/ Sennheiser momentum. I am not selecting fiio ex 1st for it’s poor isolation. The earphone should be comfortable and isolation should be good as I use while commuting. I had been using the MA750 which I found great sound wise for a while but ended up being too heavy and uncomfortable for me. I use my in-ears for 8 hours and sometimes even more a day. You suggested the Momentum which I love. I want to buy a second pair to use at work which will see similar use to be honest. What pair would you say is a step up from the Momentum sound wise? I don’t mind spending up to $200. I’ll be buying from the UK if that makes any difference. I might also consider a cheaper option which I will be using at work instead and not worry about misplacing. If I get a more expensive pair I will be using the Momentum at work. Thanks a lot for your help. I appreciate your time and all the effort you put onto the site. The sets that I’d recommend as upgrades for the Momentum sound (DUNU DN-1000, for example) are all less comfortable than the Momentum itself. I’d consider the 1MORE Triple driver as an option. It’s not a great match for the Momentum sound signature – has less bass and a much more “mild” v-shape to its frequency response – but it’s not lacking in anything and is technically very very proficient. Costs around $100 (a little more in the UK: http://amzn.to/2kBflWK) and is also quite comfortable – much more so than the DUNU and even the MA750. ljokerl, you are simply legendary. Thank you so much for your prompt response and assistance. Your help is as always invaluable. I’ve decided to buy both the 1MORE Triple and the SHE3590. I’ll report my findings once I’ve had a little bit of time to play with these! Thank you again so much! Glad I could help – really hope you like them! 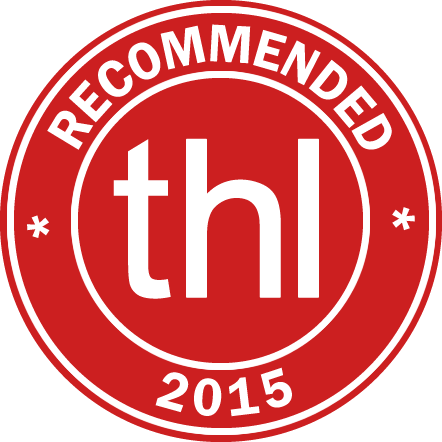 Definitely curious as to your feedback after you’ve had some time with them – helps me hone my recommendations. I really like and appreciate your reviews which are very informative and comprehensive. Your website is really helpful. I have the Monster Turbine and they are dying after 6 years of service. I liked them and would like something similar (though maybe with a little less bass). Should I go with the momentum, or the Rha MA750 (or the eph-100 but they are hard to find now in Europe) or any other one ? I’d skip the Momentum – one of the cool things about the Turbine was that the mids didn’t sound overly recessed despite the heavy bass. The Momentum will be a step backwards in that regard. The MA750 should be pretty good, though. Bass hits hard but IMO is not overwhelming on these when your reference is another dynamic-driver set like the Turbine. Plus, RHA build quality won’t feel like a step down coming from the Turbine. Another option to look into is the 1MORE Triple Driver – these are a little more of a change from the Turbine, but they are good mid-level audiophile earphones with some punch if you’re looking to mix things up a bit more. They’re a little more Hi-Fi and crisp than the MA750, but still have good bass impact. Should run about $100. I mainly listen to hip-hop/rap. I had noticed the 1More Triple Driver but I am affraid about the isolation as I mostly use them outside and in the subway, am I right ? Yeah, you’ll lose a bit of isolation, so if you find the Turbine barely sufficient in that regard I’d stick to the MA750. Then do you think using some Comply foam tips would solve the 1more “issue” with isolation (I’m not sure if it would help mitigate the shallow fit and the holes in the earphone) to put them on the same level as the Turbines ? No, Comply would help but the 1MORE is limited mostly by its housing design. You can put triple-flange eartips on it and it still wouldn’t isolate super well. I am so glad to have come across your site and appreciate your in depth review after flipping through so many unhelpful reviews with sparse details.Have not bought earphones for quite some time.Would love to hear your recommendation on a replacement for ATH CKM500 which died recently after 2years of commuting use,have always loved ATH clarity and details, rely m50x for home use. Would momentum in ear be a good upgrade /replacement or any other recommendation for ear phones below 200 and of similar/better sound than the CKM 500. The Momentum would work but it’s more mid-recessed than what you’re used to with your Audio-Technicas. Along these same lines, a JVC FXT90 would probably be a more logical ATH-CKM500 replacement in a similar price range. However, since your budget is $200 maybe you can consider something a little more Hi-Fi. Some options below – I’ve ranked them from most bass-heavy/v-shaped (i.e. closer to CKM500 signature, but still a little less extreme in midrange recession than the Momentum) to most balanced/neutral (i.e. closer to M50 sound signature), but generally they’re all in a similar ballpark – all have more bass than a strictly flat/analytical IEM but still focus largely on clarity and detail. None of these are super expensive and I’d definitely recommend reading the individual reviews for their strengths and weaknesses, but as far as IEMs in the $100-$200 range go I think these are all fantastic value. Thank you! Will proceed to find JVC. Not sure about Europe but here in the US you can buy a Klipsch X11 for about $100. Sadly I cant find them in italy, and it’s a pity cause they looked really cool ! what do you think bout Hifiman Re 400? I find the RE-400 very comfortable but it can take some playing around with eartips. Plus, they’re more neutral than warm in the conventional sense (where warm implies a noticeable bass emphasis). Hi, big fan of your extensive work. this site is immensely helpful. I’d pick the Titan 1 personally – I find its sound to be a lot more unique and exciting, and in many ways it can keep up with top-tier earphones. The Momentum is competent, but it’s much easier to find a Momentum upgrade than a Titan 1 upgrade if you were to spend more $$. how do these compare to the significantly more expensive ie800’s? is the price difference worth it in your opinion? i’ve listened to the ie800’s and i think they’re excellent. They pursue a similar sound signature but just don’t reach the same level of performance as the IE800 in many ways. The bass is not as effortless, the midrange sounds more recessed, treble is less refined, presentation doesn’t have the same depth, and so on. As for whether it’s worth the price difference, that’s really a personal choice. If you have a random person off the street try both I’m sure they won’t be willing to pay 6-8x more for the IE800. Heck, they might even prefer the Momentum. Ask a headphone enthusiast, though, and they’ll hear a moderate difference and also understand the concept of diminishing returns being in play. If you can afford it, and especially if you’re one of those people who will always think “what if I’d gotten the IE800?” while listening to the Momentum, I’d save up. I love the sound of the momentums but they broke on me and I’m looking to get an alternative replacement which will last me a bit longer. Two questions; from a pure sound standpoint, which would be a better fit, RHA MA750 or Yamaha EPH-100? I loved the bass and low-end of the Momentums, as well as the soundstage, but the treble would sound too harsh sometimes. I’m looking for a fun sound, very rich, expansive, with lots of bass as well. From a construction standpoint, which is better build and will last longer? The cables on my momentums wore out and broke, so that’s also a consideration. From a sonic standpoint, the MA750 would be a better fit. EPH-100 is not really v-shaped enough. The MA750 has a slightly wider soundstage than the EPH-100 and still has smoother treble than the Momentum IE. It’s also built better and comes with a 3-year warranty. One other less expensive option I can recommend for a Momentum alternative is the Alpha & Delta AD01. There’s a comparison against the Momentum in my review: https://theheadphonelist.com/headphone_review/alpha-delta-ad01-in-ear-earphone-review/ . While not quite as capable or well-built as the MA750, I did slightly prefer the AD01 to the Momentum and it has both more bass and detachable/replaceable cables. Always a plus when talking about longevity. Thanks for the reply. I’m leaning towards the MA750s. One more question though – will they be as easy to drive as the momentums? I love listening on high volume and I have been using my momentums with a Clip+, should I get some Fiio amp to get that same volume or will they perform similarly? It’s easily driven by something like an iPhone or iPod. Not sure if it’ll have the exact same volume as the Momentum with the Clip+ but it’ll be in the same ballpark. Yeah, that’s definitely a bit backwards in terms of price/quality. Momentums should’ve been $90 and the RHA $120 :P. Good buy. Glad this site has been useful, and thanks for sharing your impressions of the earphones! Hello thank you for all the reviews. You have become my official guide for IEMs! I’ve had Beyerdynamic DTX 101 iE for 3 years and I was extremely satisfied with them. Unfortunately they didn’t last and I want to get a new pair. I went with the JVC HA-FXD80 but the fit was horrible for me. I sent them back and now thinking of the Sennheiser Momentum. How are they in comparison to the DTX 101 ? Any other suggestion ? These are more similar in sound to the FXD80 than the DTX 101 – they have the same sort of lean, mid-recessed sound as the JVCs, not the warmer, more full-bodied (but also muddier) type of sound the Beyerdynamics are known for. The fit on the Sennheisers is great, though. An alternative to these would be the Alpha & Delta AD01 (if you can get your hands on a pair). They’re larger earphones but the fit is more similar to the beyerdynamics (very conventional in-ear earbud fit). The Sennheiser CX 5.00 use the same driver as the Momentum In-ear. But the driver is tuned differently. A bit less bass, and a bit more warmth slightly higher up in the frequency range. Although using the same driver, the Sennheiser CX 5.00 is quite a bit cheaper. In my country, the Momentum In-ear costs 100 euros, and the CX 5.00 costs 65 euros. And I’ve seen the CX 5.00 go for as less as 55 euros. Therefore, I think that the CX 5.00 could score close to a 10/10 for value. I would be very interested in a review of the CX 5.00 from you, ljokerl. And seeing how much you liked the Momentum In-ear, which uses the same driver, you must be very eager to review the CX 5.00! Hope to hear back from you soon. I didn’t know they use the same driver. Sounds like the 5.00 should be a vast improvement on the CX 1.00 and 2.00, both of which I have and both of which are mediocre. There are probably two dozen great earphones out there for under $100. Not sure about the R6 but the SE215 and Momentum are both good choices – the SE215 has more mids and less treble compared to the Momentum, so it’s smoother but not as exciting/energetic. I tend to prefer the Momentum, but that’ll vary depending on who you ask. Hi Joker, could you perhaps compare the Momentums to the Thinksound MS01’s? I have the Ms01’s and was wondering if these would be considered an upgrade. The Ms01’s are light in the midrange and was wondering if the Momentums are even more v-shaped. Soundstage comparison too would be great. Yes, the Momentums are even more v-shaped. While the soundstage of the Momentums is wider, as tends to be the case with more v-shaped IEMs, I wouldn’t call them a direct upgrade to the MS01 – just not the same sound sig. If you’ve wanted bigger, deeper bass than the MS01 delivers and don’t mind the midrange being more laid-back and the treble a little more present, the Momentum is a good option. Otherwise, probably not. Thanks for your great review and very detailed comparison of all the in-ears. Actually, I think I will use your comparison from now as a reference to buy the in-ears in the future. I am using Sony MH1C. I quite satisfy with it, but I am looking for another in-ear. Actually, I want to try a more expensive in-ear and hope that it can brings for me new experiences with better sound quality. I only can find out the Sennheiser Momentum In-Ear in the close retailers, however, they can not let me try it before I buy it. Thus, I dont know the sound quality of the Momentum In-ear. Hence, I really wonder that is the sound qualition of Momentum inear better than MH1C so much? Are their sound different or quite similar? And Is worth for me to spend more $100 for the momentum when I already have MH1C. Thank you very much for your review. I am looking forward to hear the advise from you. It’s not so much better than MH1C as it is different. The MH1C is warm and smooth, meaning the bass is enhanced but the midrange and treble are smooth and not really emphasized. The Momentum is v-shaped, with bass and treble about on the same level of enhancement, and the midrange more relaxed in comparison. It’s a very different experience – good if you think the MH1C might not be your ideal sound tuning, not so good if you’re looking for a straight upgrade to the MH1C. The change in balance towards less midrange and more treble will be very noticeable for sure. MH1C is one of those IEMs that’s very difficult to upgrade from because while there may be some shortcomings with the technical performance, the tuning is both very good and somewhat unique. The Yamaha EPH-100 would be closer to an MH1C upgrade that falls within a more similar tuning. I really like the Yamaha EPH-100 from the first look, both of them EPH-100 and Momentum have beautiful design. Fortunately, I also can buy the Yamaha EPH-100 on the internet with around 1 week for delivery. I quite like the sound of MH1C, but I do not really care about the bass. Actually, I want an in-ear, which is balanced. It means all the ranges (bass, mid and treble) are enhanced because I often listen to the new age music, classical music. Sometimes, I also enjoy the electronic music (not the EDM or dance music, it is the electronic new-age with smooth and dynamic sound). Thus, I prefer an in-ear that can create for you various types of sounds, which are the singer’s voice, the sounds of instruments and also bass. Based on them, which one should i get, momentum or EPH-100 or another inear in the same range of price? Thank you very much for your help. I very appreciate it. I just found out your report about RHA MA750i. Between 3 of them, Momentum, EPH-100 and RHA MA750i, which one do you think I should get? Due to the fact that Momentum, RHA MA750i are quite easy to buy a store and EPH-100 is only available on the internet. Forgive me because I did not read your Buyer’s Guides before asking. Right now, I narrow my choices to only 3 IEMs, which are HiFiMan RE-400 Waterline, EPH-100 and RHA MA750i. Can you please help me choose one? It really depends on what you want. Obviously I recommended all three in the buyer’s guide so I think all three are great for different types of listeners. If you really want balanced sound like you said, the RE-400 easily beats the EPH-100 and MA750, which are both biased towards bass. Keep in mind the RE-400 will also be more balanced than the MH1C, which is warm and bassy compared to truly neutral IEMs. Thanks for you helps. Actually, because of confusion between 2 sound signatures, I decided to got both of them. I bought RHA MA 750i some weeks ago because it comes with warranty, and I could bought it straight from Apple Store instead of waiting for EPH-100 from ebay. The sound of RHA MA 750 is quite similar with MH1C, but it is clearly better than in mid and treble. I also see the emphasis in bass but overall, its sound and its design are good. I also ordered the Vsonic GR07 in the same time. Unfortunately, they ran out of the stock, and I am waiting for next shipment. I was consider RE-400, however, the reviews of Vsonic GR07 was got my attention. In addition, due to the fact that two of them are same price, so I choose GR07. Once again, thank for your help. I hope I can get the GR07 as soon as possible. Have a good day, I am looking forward to your next reviews. Feel free to comment back with which one you kept – my curiosity aside, never know when someone facing the same decision may end up reading the comments. Sorry because of asking you again but between GR07 classic and GR07 Bass Edi, which one do you prefer? Is the sound of GR 07 better than RE 400? The GR07 and GR07 BE aren’t very different, for me they are interchangeable. If it was my money I’d buy the less expensive Classic, but it doesn’t really matter. The RE-400, on the other hand, is a very different take on “balanced” sound. Much smoother, the bass is less punchy, and so on. Aside from the treble, I generally like the GR07 better, but it’ll vary by listener. I did order the GR07 BE today and I will come over next week. They are just $30 different and I want to get the best of GR07 so finally, I took GR07 BE. I will let you know about my feeling when I got that IEM next week. Thanks for all your helps from momentum to GR07 jokerl. I very appreciate your help and I am looking forward to discuss with you more about IEMs. Congratulations, hope they’re to your liking! I am here again. I got the GR07 BE from the Monday of this week, but due to the fact that I have been so busy for a whole week, I could not let you know about my opinions until today. First of all, I am really impressive about GR07. It is not about the difference between two sound signatures, it is about the sound quality of GR07. I have also tried the RE-400 at a store in my city and I do not like it. I think both MA750i and GR07 are the jewels of IEMs world. I have listened to music by many IEMs. Before MA750i, I had tried both SE215 and MH1C, they are both good but the sound and the price of MH1C is more impressive than SE215 for me. For a long time using it, I had been happy, however, I want to get something, which gives me better than in build and quality. Then, MA750i did make me satisfy, good build quality and perfect fit because I am using a macbook. The sound quality is just a little bit bias to bass, both mid and treble are really good, but the bass does influence to them, just a little bit. Why did I get a GR07 after it? Not because MA750i did not satisfy me but because when you have something is great, you want to reach for something is the best. The story about GR07 was told many times in IEMs world. When I got it, I was not too impressive, its cable is soft, the build quality does not make you feel safe or make you think that you can use it for a long time. Based on your marks ( between 8.9 and 9.1) for their sounds, I did not expect that GR07 is perfect, I thought it is slightly better than MA750i. However, I was wrong about its sounds. I did not recognize that because MA750i is very good, so when the sounds become more balance and slightly better, you have the sounds which you have always desired. The bass of GR07 BE is enough about quantity and have good quality, it does not make you feel tired even when you listen for a long time, a beautiful bass. The mid is clear, warm and express the vocals exactly, an impressive mid. The treble is smooth, sweet and good resolution, you can feel the treble, not just only hear the treble, an untouchable treble. I do not mean that all its sounds are perfect, I think they are really good. However, because of balancing, the sound of it becomes perfect, all of them support each others and bring to us a beautiful sounds. To make sure that I was not influenced by the balanced sound signatures, I did try the RE400, I still see the balance in RE400, but all of its sounds do not mix well, they do not support and make the others become better. I do not like RE400. Finally, thanks for all your helps. I am more than happy with both of them. Sometimes, I wish we can have the sound of GR07 BE in MA750i shape, and we have the perfection but we all know that nothing in this world is perfect so I am happy with both of them. I will keep follow your reviews and if I can get more IEMs in the future, I will share my feelings with you. You did a great job, thank you again. This is a great outcome – I’m very happy you’re enjoying them! 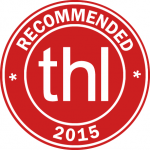 Appreciate the feedback – always good to know whether or not a recommendations works out. Great review! Just discovered your site. Was wondering if you could give your advice on what should be my next purchase.. I’m lookING to replace my SoundMagic E10, but not sure what I should go for. I quite like the E10 sound signature, how do the the Momentum in ears compare? Are they much better? I am also considering the Shure se215.. what would be the main differences between the 2 in terms of sound quality..? The biggest difference between Momentum and SE215 will be in the treble – the Momentum has strong, prominent treble whereas the SE215 is the opposite and even sounds a bit rolled-off and dull at the top. Mids are less recessed on the SE215, but not any clearer. The E10 is a little more balanced on the whole… its treble quantity is closer to the SE215 but not as low. Mids are not really recessed and the bass, while slightly boosted, is not as powerful as the Momentum’s (SE215 is more similar in terms of bass). On the whole the SE215 and Momentum go in two different directions from the SE215 in terms of sound tunings. If you’d prefer something warmer and smoother than the E10, but still clear and detailed, the SE215 is a good choice. If you’d prefer more bass (deep bass especially) and treble, the Momentum would be a better way to go. I have both the Momentum in-ear and the Beats, and I’d like to comment on this. With my high-end portable equipment, the Beats Tour 2.0 sounds much better. I like to pair medium-priced dynamic IEMs with high end portable amps and DACs. I like the top-to-bottom coherence of a single-driver IEM, and a high-quality front end provides all the detail I need. My DAC is the Algorhythm SOLO -R (which has received uniformly excellent reviews) and my amp is the Vorzuge Pure II (which several headphone sites have reviewed as simply the best portable amp there is). These let me get an accurate picture of what an IEM really sounds like. The Beats Tour 2.0 and the Momentum in-ear are actually very close in terms of fidelity. It’s true that the Momentum has marginally better resolution, which we usually think of as “fidelity,” but it also has one glaring flaw that throws a wrench in the works. As a result, the Tour is the better performer overall. Many reviewers have commented that the Momentum in-ear is “bright” (including Tyll Hertsens at Inner Fidelity), that it sounds harsh or metallic (members of Head-fi), or that its highs are bright, “zingy,” or “brash” (reviewers Steve Guttenberg and others at CNET). The harsh, dry quality of the Sennheisers means that the highs of the Beats have greater fidelity. I also find that their midrange does too. I listen to everything from opera (occasionally) and classical to EDM and rock or pop (more often). In opera, voices come across with much better realism on the Beats–female vocalists on the Sennheisers sounded uncomfortably forward and screechy. In the bass, the Sennheiser wins by a hair, being just a touch more solid and dynamic. But overall, the overly “hot” and forward sound signature of the Sennheiser means that, even though it has some strengths that the Tour doesn’t, the overall listening experience just isn’t as good. YMMV, of course, but the fact that the Tour 2.0 pairs better with high-end equipment tells me that it’s simply a higher-end and more successful IEM. For me, it’s a wonderful all-round performer that works beautifully with everything from classical to electronic and pop. I also reviewed the Beats Tour 2.0 on InnerFidelity and said that it sounds very good and extremely smooth for a bass-heavy IEM, and said that the treble of the Momentum tends to be splashy in this review. But the huge, somewhat loose bass and muddy mids of the Tour 2.0 are just too much for me to get past. It still has this behavior with my OPPO HA-1 and HiFiMan HM-901, so I can’t blame it on the source. I can reduce the bass to “fix” it, but I’d consider that contrary to the intended sound of the Beats. Of course in the end it all depends on the sound signature and specific strengths the listener is looking for. I’ve steered tons of people away from the Momentum when it doesn’t fit their needs, and have made quite a few recommendations for the Beats. That’s why I always recommend people hone their sound signature preferences before shopping for higher-end IEMs. I appreciate you posting your contradicting experience, and more so doing it in a civilized manner. I’ll pursue this just a bit further. On the Beats Tour 2.0, both male and female voices sound very clear to me, on both opera and pop vocal recordings, not to mention solo piano and other primarily midrange instruments. So I can only say that “muddy” doesn’t describe their mids, which I find clear and sweet-toned, and the best part of their sound. I can’t help but speculate whether the past disrepute of Beats in high-end audio circles, and the sterling–if not always deserved–reputation of Sennheiser, isn’t sometimes a factor in judgments about their sound. Happy listening, and thanks for the reviews–even if I don’t agree. Actually I think differences in equipment are likely responsible for some of the differences we’re hearing. I use a separate DAC and amp, and connect them with a silver interconnect. Silver has slightly higher resolution than copper, and the effects are subtle, but it will sound slightly leaner and have slightly better treble extension. So that helps keep the sound of the Beats from being big or boomy. And it aggravates the overemphasis on treble in the Sennheiser–it’s treble is actually clean, not splashy, but there’s too much low treble, making it sound brash. Thanks for such a detailed and well covered review. I had V Moda Remix which is no more now (thanks to the rain gods). I have been searching the internet day and night for my next IEM’s and have narrowed down to Mometum. Can you please help on comparing V Mods Remix and momentum as i have read almost all the reviews about the momentum on the internet and they are pretty mixed to confuse me. I love listening to Deep House, EDM and occasional rock music and love bass. Do you suggest momentums as the right choice or any other set of IEM’s ? Thanks in advance. Sorry, no idea what the remix sounds like. The Momentum does have deep bass and this type of sound signature sounds good with EDM in my opinion. If it’s in your price range, I’d say go for it. Hi there, Joker. Nice site, it’s been a blast to have all these reviews in one place and easily confrontable. I’m looking to buy a new pair of in-ear earphones,since my old sony mdr-ex450 has died. Now, i was looking to get something better, and after reading some of your reviews, and taking into account how easily i can find the earphones, my best choice seems to be these sennheiser, as i like an enhanced bass presence, but also a bright but not too sibilant sound. Yet i’m not really sure, so i’ve got a couple of additional questions for you. First, i use to listen mostly heavy rock, metal of any kind and a bit of industrial electronic, symphonic and indie music; Would you recommend the momentum for this assortment of genres? Second, i was also interested in the bose soundtrue , as i’ve read many good things also about those earbuds, but i’m afraid that the reviews for these ones could be a bit biased because of the brand. Do you have any experience with the bose soundtrue? If so, are those any better than the sennheiser momentum? As long as you don’t mind the mids being a little recessed they should be fine for your genre selection. I always place more importance on sound sig preferences than genre preferences anyway. I haven’t tried the soundtrue earbuds – sorry. I have yet to be particularly impressed with any of the Bose products I have tried from an SQ standpoint, though. Not sure – I only have the CX2.00 and CX1.00 and I don’t really love those. Great review joker, I was hoping to get some advice from you. I’m looking for a set of IEs that have good isolation, and clear powerful vocals without compromising on the bass, any recommendations? Depends on your budget, I suppose. The Momentum IE has pretty good isolation, though its bass is emphasized somewhat over its vocal range. If you want something with more balanced, you can check out the SteelSeries Flux In-Ear or the Fidue A63, or the new Alpha & Delta AD01 (review coming soon). Your reviews have become my go-to guide for earphones. Great job! Which earphones have better noise isolation and how much of a difference is there? RHA MA750i, the sennheiser momentum or fidue 71? I travel by subway in Beijing everyday & it gets noisy. I’d really like to block all the sound out. I was leaning toward the MA750i for their build quality. This just clinches it. Really impressed with your site! Thanks, and enjoy the MA750! I would like to say THANKS again your help and congrat for your site. Would you help me to choose an earphone for electro industrial/ industrial/ black metal and classical music. For me very important the bass. Which one -or other- are you recommend for me : Sennheiser Momentum In-Ear, shure 215 or if i will find a used Phonak Audéo PFE 232…???? Depends on if you want bass that is enhanced but tuned more for quality over quantity, in which case all three of these would do okay (especially the SE215 and Momentum), or if you just want really heavy bass like Beats by Dre, in which case none of these will do. If it’s the former, I’d probably pick the Momentum over the SE215 for your combination of genres thanks to its greater treble presence. If you want a large amount of bass and are willing to give up some quality to get it, there are much bassier headphones than these on the market. Thx for reply, ljokerl . …and what do you think about Westone UM PRO 20 or W20 and RHA MA750i? Is it worth the extra money? You didn’t clarify about the bass but either way I would avoid the W20… it’s a very flat earphone with basically no bass enhancement. Not sure about the PRO 20. The MA750i is very good – can’t really go wrong with it for the price if you need to have powerful bass. As for pricier recommendations, again it depends on what aspect of bass is important to you. If you want bass quantity, something like the Sony XBA-H3 will give you a very impactful, but smooth and clear, sound. For lower (but still punchy) bass quantity and slightly better bass quality I quite like the DUNU DN-1000 or the Fidue A83. Hey, what do you recommend for EDM music, Shure SE215 or Momentum in ears? Generally, the Momentum. Its more recessed mids aren’t really a problem for EDM and the extra treble energy and soundstage width are assets. hey ljokerl, compare with RE-400, which one you will choose..
RE-400, but that’s because I tend to like more neutral earphones over ones with enhanced bass. then how about Final Audio Design Heaven II?! 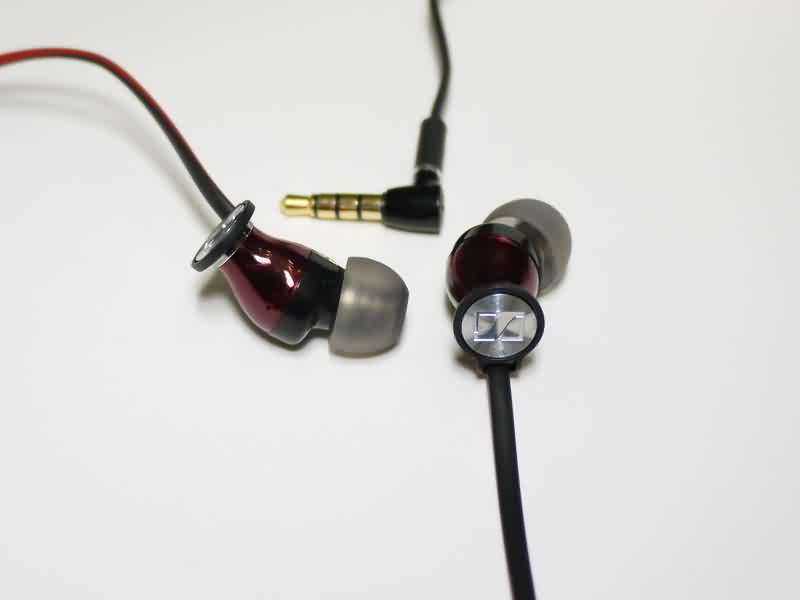 The Heaven II is a nice earphone – more balanced than the Momentum for sure, but brighter and harsher than the RE-400. It’d be a close call but I’d probably still pick the smoother RE-400 over it. I would go with the iOS version. You’ll get full functionality on the iPhone and the middle button on the Note 4 (so you’ll have answer/hang up, play/pause, and next/previous track if your audio app supports it, but not the volume controls). I asked you earlier on Gr07 or MA750i page I think, about my recently deceased gr07 BE and replacement recommendation. I asked about helping me choosing between RHA MA750i, another pair of Gr07 BE or Sennheiser Momentum In Ear. I asked Amazon for a reply but due to credit card complications they gave me a gift card option on Gr07 BE refund. But due to “Import Fee Deposit”. I wasnt able to get a new pair. (Hell they wouldnt even ship another Gr07 BE to my country nonetheless). I narrowed to Hifiman RE-400, Momentum In Ear and Rha MA 750i but had to give up on Ma750i aiming for $99 Iems. Anyway in the end I had to choose between Philips Fidelio S2 or Momentum in ear. I found an iOS version available to me and picked it right up. Even though I have an android phone I wouldnt really care about 3 buttons. Did I make the right decision? Should I cancel my order and wait for an android version to become available to me? Or wait for any discount on MA750i or even ETY HF5? Thanks for your help! Well, if you don’t care about the 3-button remote then there’s really no point in waiting for the Android version. As for the MA750 and HF5, I do think those both sound very good depending on what you’re after. In the review above I compared the Momentum to both the MA750 and the GR07 Classic (which is very similar to the BE version, just a little less bassy). The HF5 is a lot more neutral than all of these enhanced-bass IEMs (even the GR07 Classic). It would be a different sound than you’re used to. Thanks for all the great reviews! How about a comparison between GR07 BE, JVC fXT90, and Momentum? Highs, mids, bass, and soundstage. Great site! Is there a great difference between these and the Dunu 1000? Is it worth double the price? The right one depends on what you’re looking for. The GR07 (even the BE) is the most balanced and accurate of these, with a bit of added bass punch and some sibilance, and has the widest soundstage (but lacks some depth next to the FXT90 and DN-1000). Other than a small amount of extra bass, it’s very similar to the GR07 that I compared to the Momentum in the review above. The Momentum is the most v-shaped, with the greatest bass quantity relative to the midrange (of these four) and the most recessed mids. The FXT90 has the most forward and aggressive presentation, with plenty of sparkle and slightly more bass punch than the GR07 BE. The DN-1000 is more v-shaped than the GR07 but more balanced than the Momentum. It is the most capable overall, but again it has to be the right sound sig for you – otherwise it’s not worth a penny more than another earphone that has a tuning that better suits your needs. Big fan here! I love my FXT90, and I like my Adagio IIIs better for its massive, larger soundstage, and clarity. I read somewhere that you weren’t impressed with the IIIs, but I beg you to give it another go, with comply tips, and give it some time to grow on you, and then put up your holy ratings here (please!). I was considering the Momentums, and would like to know how big you think their soundstage is compared to the FXT90s. And also how do they compare to the Pistons? I like the pistons’ sound, but i feel a sharp pain in my left ear, for some weird reason, after about ten minutes use. I thought the mid-bass of the Adagio III was too intrusive, other than that it was pretty agreeable. I still have it, but it’s unlikely I’ll review it over the Heaven II, which I enjoy more. FXT90s have a forward and intimate presentation. The Momentum tends to be rather more mid-recessed, so it sounds less intimate by a margin. It’s not the most spacious IEM out there, but its presentation is very different from the JVCs. Can’t remember how its soundstage compares to the Adagio III but it fares well against the Piston, with deeper, tighter bass and clearer (albeit slightly more recessed) mids to boot. Thanks for the insight! I’m still waiting for my Heaven II, which I ordered a month back, and I’m expecting big things! You must do Heaven II. I’m predicting a rating of 9.0, just above the FXT90, though I’ve never tried it yet. That shows my level of excitement, i guess. Really happy that you enjoy it! I’m a real sucker for hugh soundstage, the bigger the better. Which IEM do you think has the biggest soundstage (width + depth) in the same price range ($100)? – signature no bar. Thanks, again. Keep up the good work! Hard to say as some have better width but less depth (e.g. Ostry KC06 and many VSonics) and others the opposite (e.g. FXT90). Most well-rounded… maybe the Havi B3 Pro I or Sony MH1C (the latter with the bass corrected down a touch – otherwise it’s a little boomy and can congest the presentation). I have Sony MH1C and Etymotic HF5, what I have to aspect from the sound of Momentum in comparison?? I need more sub-bass than Ety and more treble than Sony, the Sennheiser seems very good, with good cable and remote! It checks all the boxes for what you’re after. The only thing that may catch you off guard is the midrange being somewhat recessed in comparison to your MH1C and HF5. I think i’ll go with the Momentum. Thank you for the help! Have a great day! I wasn’t expecting that answer…How about Audio Technica ATH-CKX9? Got it. I think I will get the Momentum because I can find them in my country and not from Amazon. Anything that could fit my preferences in the same prince range? Definitely not with a full-featured Android remote. Without a remote you have a couple of other solid options such as the JVC HA-FXT90 and Shure SE215, but nothing clearly superior to the Momentum. Yet, the JVC HA-FXT90 scored closer to 9/10 for sound quality, are a dual micro driver design, and seem to edge out the Momentum in terms of build quality with more substantial stress relief. And they are about $25 less expensive. But yes, they do not have a remote. Thank your for the review! I am interested in using them for a Nexus5 so the controller is a big plus. Would you recommend them for EDM, Dubstep and this kind of music? I want some IEM that can shock me when the drop comes but no to blow my brain with the bass. Yes, these would be a good choice. The remote works great on my Nexus and this type of sound works well for EDM and dubstep as long as you don’t want overblown bass and don’t mind a bit of sparkle up top (which tends to be more of a caveat if you listen at very high volumes).